Cloud based technology is becoming more widespread, with the popularity of hosted email, data storage and software applications – “The Cloud” has firmly entered the realms of the small business. 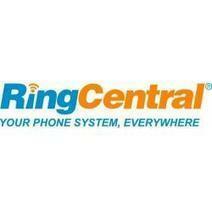 Now telephony has also migrated into the cloud and HardSoft have put together a package with our partners RingCentral. 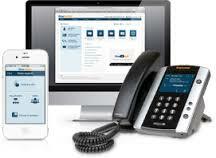 Cloud based business telephone systems can keep pace with the modernisation that businesses require. No longer are businesses tied to the limitations of specific individual numbers. Cloud hosting allows your calls to be managed a simple online interface. A single number can reach anyone, anywhere, something that a traditional PBX can only dream of. Different landline numbers for different offices and departments, as well as a long list of individual mobile numbers can create a disjointed network, making it complicated to handle calls effectively and for customers to reach the right contact. A cloud based system means one number can act as a company’s ‘front door’. This makes it easy for customers to get in contact, as they always have the right number to dial. Whether your staff are fully mobile or just stepping out the office for a sandwich, not being available to take calls could be costing you business. A hosted phone system allows calls to follow staff wherever they are, whatever number they are on be at a landline or a mobile. Companies can lessen the risk of missing out on potential business opportunities. The cloud system we offer is totally scalable in line with your business’ growth. There is no burden of installing additional hardware apart from a desk based handset if required, and there are no additional setup costs, just add the user to your subscription and everything else is already taken care of. Currently there is a need to invest in expensive phone infrastructures in order to get a ‘big business’ image. However our systems include a single 0800, 0845 or a local number which will improve a customer’s perception of professionalism. You can also customise greetings and the auto-attendant menu systems, which can make business can also sound the part. Most customers want to get through to the right person with as little hassle and as quickly as possible. Our system allows a company to direct calls to employees and departments, wherever their current location. As such it becomes simple to give an easy experience to your customers. Our cloud telephony gives each user 1000 minutes of outbound calls (including mobiles, landline, fax, Freephone and Non-Geographic calls) per user. These are shared across the whole system meaning you won’t have to worry about your power users racking up big costs. Also if you were ever to exceed the generous call allowance you benefit from the cheaper calls VOIP based systems give you.